A brochure is an informative document that contains basic information about a certain subject. It is often used as a marketing tool to help promote products and services. 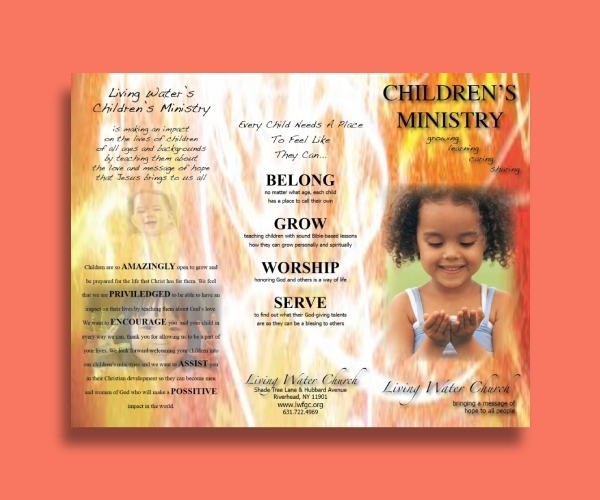 But aside from business, a brochure is also used by churches to help spread the word about their services, ministry, and so on. 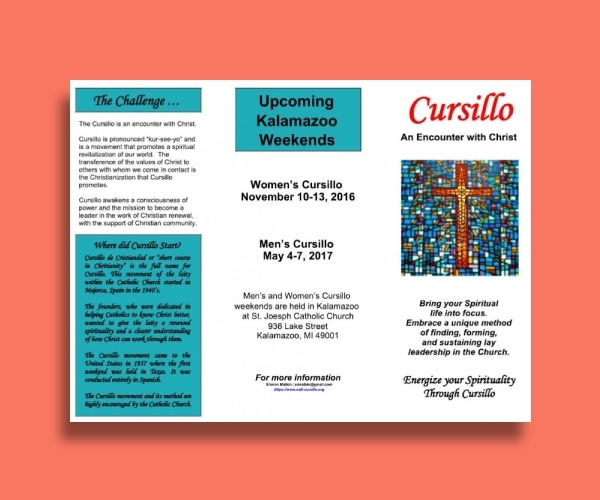 In this article, various creative church brochure templates and examples are provided for your perusal. 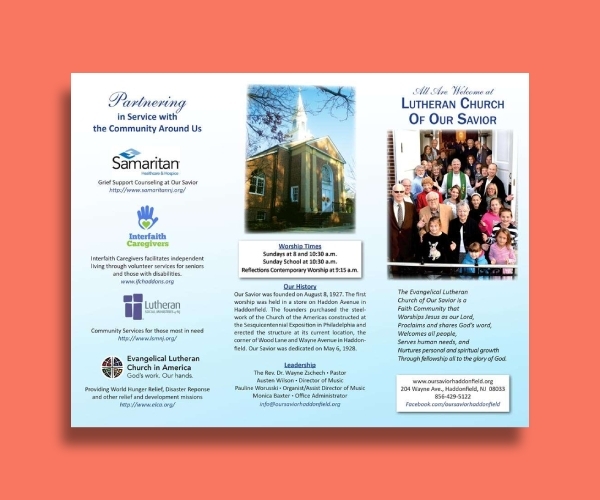 Using a trifold format for your church brochure will allow you to include more information about your church. Since it has more space, you can strategize where to put images and texts to make the brochure look more pleasing. To give you a head start, download this template and edit accordingly to include your preferences. 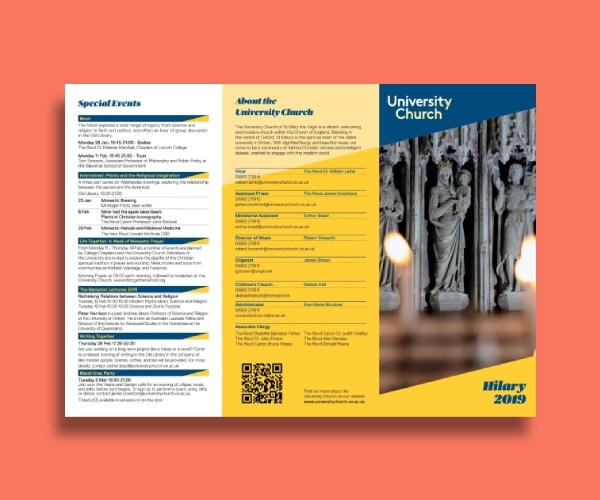 A bifold brochure is also a good option if you want to achieve an aesthetically pleasing marketing tool to use for your church. 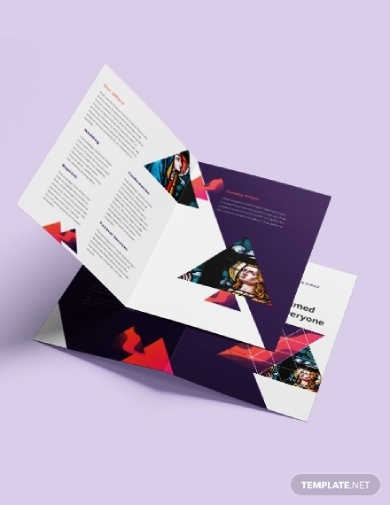 Using this brochure format will give you bigger space for each panel which will allow you to include bigger sized photos, more texts, and a clearer layout. You can download this template if you want to achieve a high-quality finish. As much as you want to continue using past designs and illustration, incorporating a modern twist to it will surely impress your readers. Hence, this modern brochure template is perfect to use when you want to get in touch with a younger audience. You can edit this template to incorporate your preferred style, layout, designs, and so on. 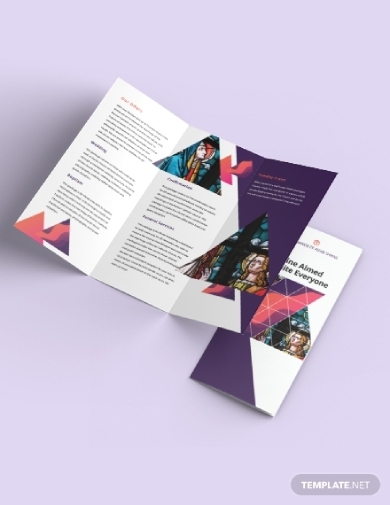 Looking for a high-quality brochure template that you can use to present information about your church? This is the perfect one for you. This template features an excellently made design, original illustrations, and a flexible layout that you can easily edit. Download this template for free and enjoy its impressive features. 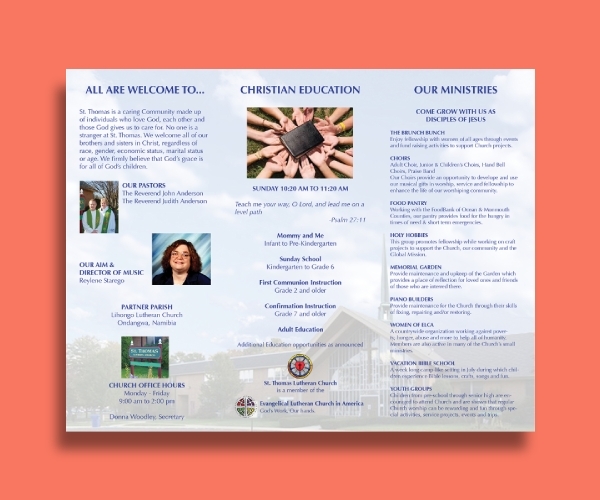 Producing an excellent finish for your church brochure can be easily achieved with the help of this brochure template. It has an impressive layout that will allow you to include all the necessary details that you wish to provide to your readers. Aside from that, this is very easy to edit to help make sure you can incorporate your preferred designs. Aside from being the house of worship, a church can also be a good venue for any religious-related activities like church weddings, baptism, confirmation, and so on. But potential clients will not know that if there aren’t enough marketing tools to promote it. Hence, you should use a comprehensive brochure to provide a clear overview of all the features and perks that you offer. Making sure that people have a clear understanding of what you do and what your church is about is essential when you want to entice them to join your community. 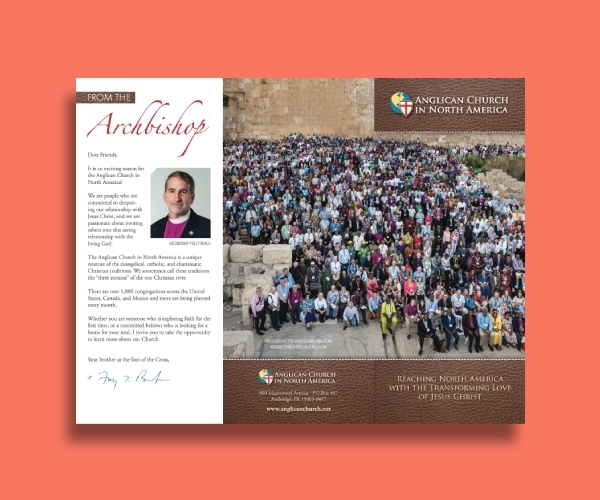 That’s why using a brochure that presents all the relevant and essential information about your church can help in spreading the word about the good and service that your church does. Introducing your church and the message that you spread through your church is essential if you want to entice them to join your community. But how do you do that effectively? An effective marketing tool to use for this is a creative brochure; you can include all the relevant information along with relevant images if formatted properly. 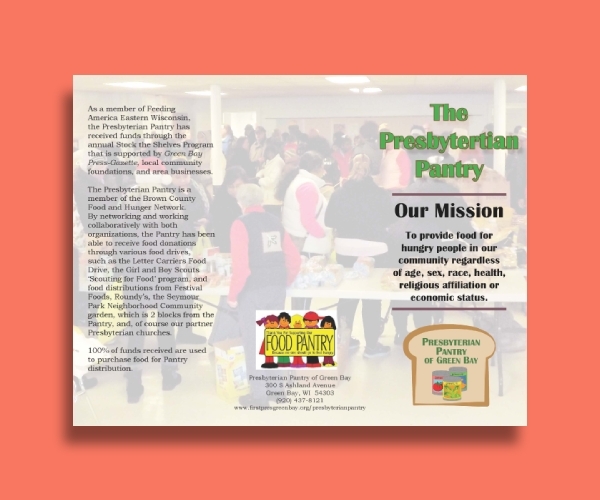 If your church has a program focused on helping the less privileged, just like what is shown in this brochure example, using a cost-effective marketing tool like a brochure to promote the program and encourage other people to donate and help out will help further your reach and cause. Just make sure to provide enough context to help the readers understand your main goal and objective. 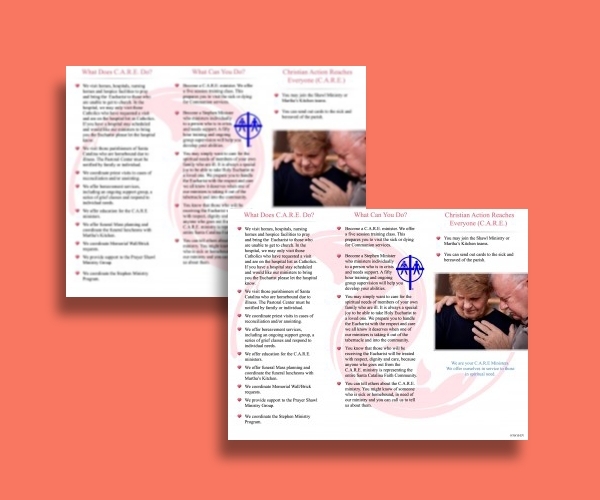 Tell other people about the teachings of your church through an informational brochure. You can include all the essential information such as the name of your church, address, service dates and times, ministries, services, and so on. This will help you encourage more people to join your church community. Some people, especially those who haven’t welcomed Jesus in their lives, do not have knowledge about the sacred sacraments. You can inform them about all the sacraments through a detailed brochure; like this example, you can discuss a specific sacrament. This will help shed light on why these sacraments are important in the Christian community. 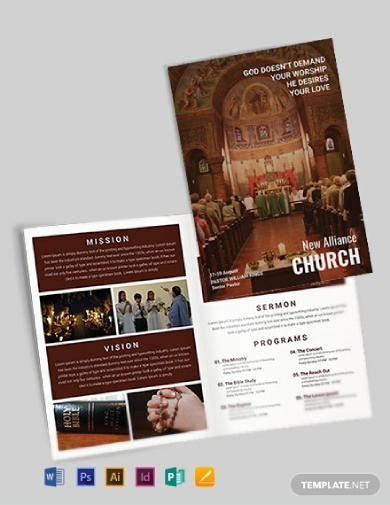 People that want to hold religious activities will want to find the perfect church or venue; thus, it is very beneficial for your church to have a church brochure that showcases its interiors. 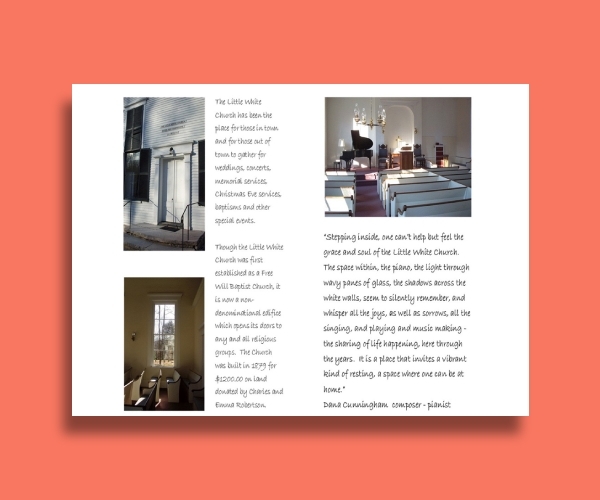 Like an interior design catalog, it will provide descriptions that will help entice people to choose your church as their venue. As they say, it is important to start teaching good habits while a person is still young. That’s why as a Christian congregation you should implement programs that help enlighten and empower young children. If you are currently doing so, you can encourage parents to participate in the program by promoting it in a well-formatted brochure just like this example. 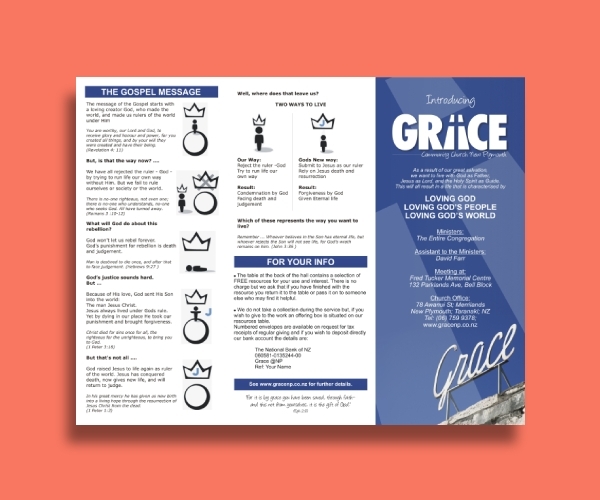 If you are looking for inspiration on how to design and create a brochure for your church, this one is perfect. You can use this as a guide or reference since this brochure example has a good-quality format, clear layout, beautiful illustrations and designs, complete details, and so on. There is simply no need to overcrowd your brochure with unnecessary images and texts; it is important to choose what you should include. 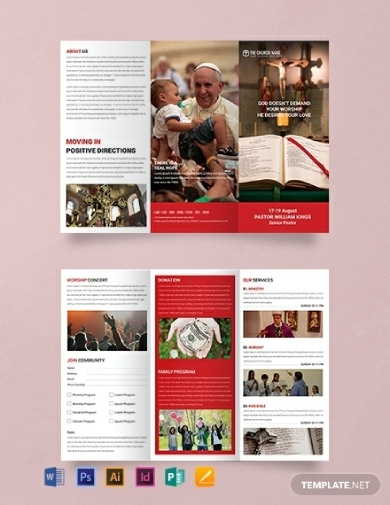 Looking at this simple brochure example, you can see how it has only included two images relevant to the church and just the right amount of information to give a clear context. This ensures that only the main and most important details are presented. 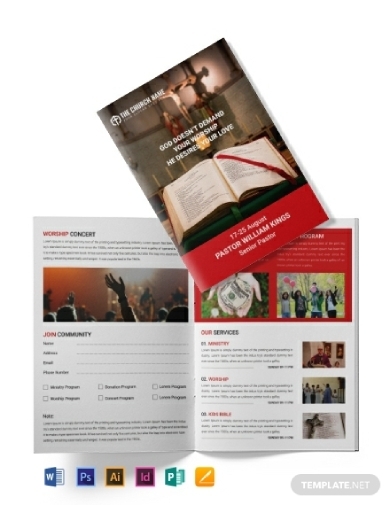 Inform people about what your church is all about through a brochure. Using a brochure instead of a poster ensures that sufficient information is presented and is still handy to the people. 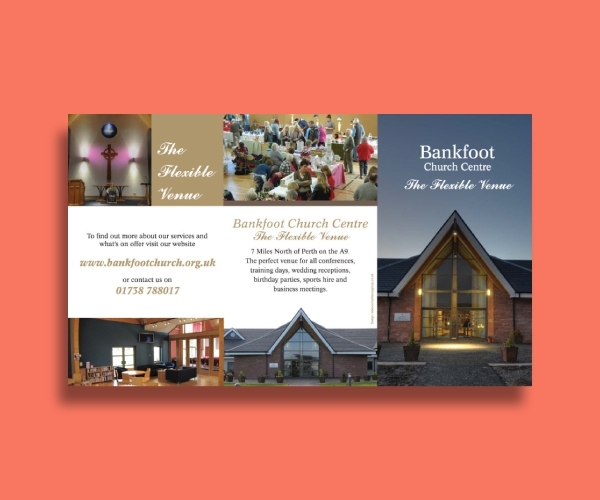 You can use a bifold brochure or trifold brochure to showcase your church so that people can be encouraged to participate in your services and activities.